Offering our gas boiler installation & replacement services in Stourbridge, Birmingham, Dudley, Wolverhampton and all surrounding areas. Looking for a gas engineer in Stourbridge to help with the installation of a new replacement gas boiler? Call our gas engineers in Stourbridge on 0330 113 2248 for a free quote. We're also currently running an offer where you can get up to £200 off of an ATAG boiler when you swap it for another ATAG boiler*! Send us a message using our contact form to take advantage of this deal. Whether you're looking to replace your existing combi boiler with a like for like replacement or whether you're looking to upgrade your regular or system boiler to a more powerful boiler that's better suited to your current day needs, our expert gas engineers in Stourbridge are on hand. We can help you install a boiler that you've already chosen, or, we can help you choose the perfect replacement boiler for your home; it's your choice. If you would like us to help you choose your new replacement boiler, you can have peace of mind knowing that we only install boilers that we know are energy efficient and built to last, helping you save money on your heating bills and additionally, helping you avoid expensive boiler repairs. 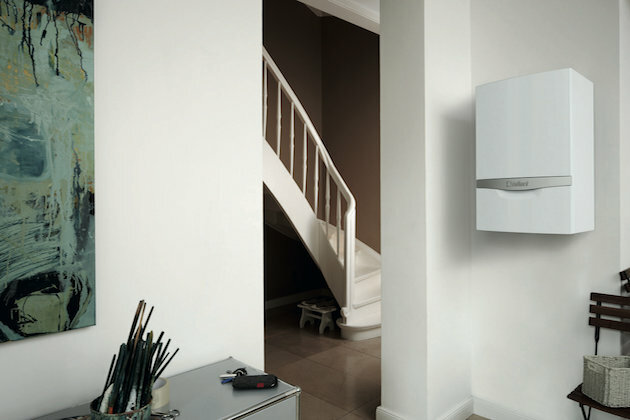 Once we've agreed on the perfect boiler, we'll get to work on its safe installation at a time that suits you best. We're able to install boilers from a wide-range of manufacturers, including (but not limited to): ATAG, Worcester-Bosch, Baxi, Vaillant and Ideal. Again, we're more than happy to help you decide which manufacturer / boiler is best for your home! As we've undertaken intensive training courses with both ATAG and Vaillant, we're able to offer extended warranties of up to 10 years on select ATAG boilers and up to 7 years on select Vaillant boilers that we install. To help you manage the costs of installing a new boiler, we offer boiler finance options across 3, 5 and 7 years with 0% deposit rates. Get in touch with our gas engineers in Stourbridge to learn more and how you can finance your replacement boiler. Our gas engineers in Stourbridge are Gas Safe Registered giving you complete peace of mind that your home is in safe hands. When hiring a gas engineer to look at your boiler, please ensure that you check their gas credentials to ensure they are fully qualified to install gas boilers. If not, your property could be at risk! We're gas engineers in Stourbridge that you can rely on. Get in touch with our team for a boiler installation in Stourbridge using the details below. If you would like to get in touch with our gas engineers in Stourbridge and request a quote for installing a new replacement gas boiler in your home, please send us a message using our contact form, email us at info@bogstandardplumbing.co.uk or give us a call on 0330 113 2248. We'll look forward to hearing from you soon.